Are you looking for a professional moving company to handle your next office move? If so, H-Town Movers specializes in getting large and small businesses relocated with a minimum of fuss and worry. As one of the best office moving companies in the Houston area, we can offer you personalized care, a wide variety of plans to fit your budget and a hard-working team of devoted office movers capable of getting the job done quickly and efficiently. Organizing and implementing an office move can be challenging and overwhelming. That’s why we can offer you the skills and know-how to plan and carry out a hassle-free move. When you choose to take advantage of our services, you can rest assured that your company is in good hands. We know how important it is to make moving day as stress-free as possible. Using office movers in Houston Tx. to do that, rather than trying to work everything out for yourselves, will be one of the best choices you’ve ever made. Moving your business from one location to another is a tough job. We know that. Weather conditions in Bayou Place can be quite unpredictable. That’s why we have put together a great team of Houston office movers who have the qualifications and expertise to get your office furniture, files, desks, machinery and other items to your new location safely. You can expect to have an exceptional customer experience with us. We’ll gladly discuss the type of materials you have to move, the machinery, equipment and other items you’re concerned about. We’ll schedule your moving date, create a workable moving plan, visit both your old and new buildings, and even fill you in on our shipping options if that’s what you require. As full-service office movers in Houston and H-Town’s surrounding areas, whatever services you’re looking for, we are capable of providing them for you. If your move is more extensive than the general H-Town area, we can do that too. We are equipped to handle all types of business relocation and office moves. Whether you need to move a single office or an entire office building, we can create a moving plan specifically tailored to fit your needs. Office moving companies offer a wide variety of services, and we are no different. In fact, we take pride in our reputation for understanding our customer’s needs. There is no job that is too large or too small for us to handle. We will gladly fine-tune the perfect moving plan to minimize your down time and get you set back up quickly. 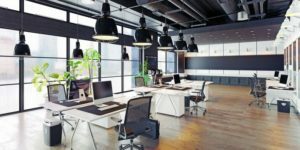 A Houston office mover can also work closely with your office manager to make sure that our well-trained crew of office movers know exactly how you want your new office set up. One of our main goals is to keep your business running smoothly, so we are willing to do as much or as little as you want us to. We will gladly adapt to fit your budget or work requirements. We know that each business is unique. Each move involves not only careful planning, but it also may need customized solutions to fit your personal situation. Not all office moving companies are willing to tailor their services to fit your special needs, but H-Town is proud of being a Houston office mover that you can depend on. We won’t let you down. Even though H-Town is the most populated area in Texas, which can sometimes affect moving schedules, we will address your concerns, prioritize tasks and come up with a satisfactory contingency plan that you feel comfortable with. Whether you need a lot of pre-planning and organization, a little coordination or none at all, we can adapt our services to fit your needs. Peace of mind is essential when it comes to moving an office, and when you choose the best office movers that Houston has to offer, that’s exactly what you’ll get.